Published by: Ocean, 1993 | Developed by: Enigma Variations Ltd. The plot of Pugsley's Scavenger Hunt centered around Pugsley's attempts to win a scavenger hunt challenge proposed by his sister, Wednesday. 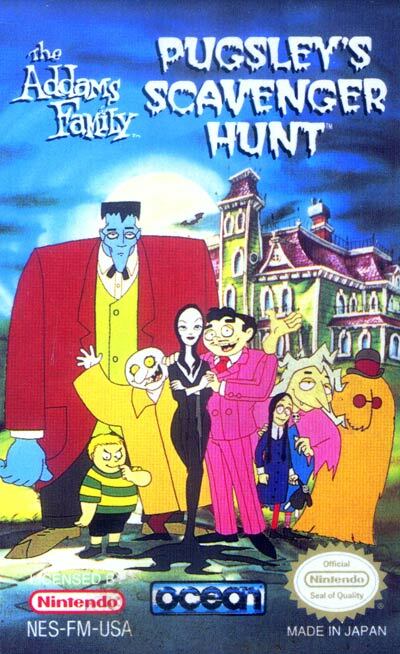 His hunt takes him to the bedrooms of each member of the Addams family in order to find one item from each.